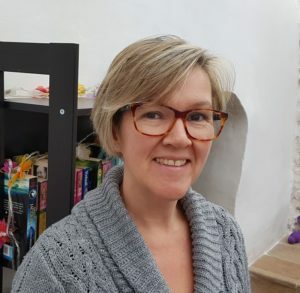 This blog is written and managed by Claire Ridgway, a full-time author, researcher, history lover and champion of the underdog, from England – land of the Tudors, Shakespeare, green fields and yummy fish and chips. I now live in sunny Spain near the historic Alhambra. I wanted to share my journey into the annals of history with other people who have an interest in Anne Boleyn and the Tudor period, and thought that a blog would be the perfect forum. I released my first book The Anne Boleyn Collection in 2012 and since then have written eight more history books – phew! These include The Fall of Anne Boleyn: A Countdown, On This Day in Tudor History, The Anne Boleyn Collection II, George Boleyn: Tudor Poet, Courtier and Diplomat, and The Life of Anne Boleyn Colouring Book (with artist Dmitry Yakhovsky). I fully admit to being addicted to Anne Boleyn and Tudor history, and I am on a crusade to debunk the myths surrounding Anne Boleyn and educate the world about the REAL Anne Boleyn. I hope you’ll join me on this journey. You are, of course, free to comment on any blog posts. What a wonderful site, Claire. Truly a labour of love. As we all know, history is written by the victors, and just as Richard III was painted darkly by the Tudors, I’m pretty sure Anne Boleyn was as well. I’ll be visiting often to explore. Thanks, Jane, it is a labour of love and actually keeps me sane because I love writng about history. History is one of those things that we can argue about and have opinions about, but most of the time we don’t actually know the real answer, what REALLY happened. What an interesting site you have, congratulations. Although I have to say that I prefer Catherine of Aragon, Anne was certainly a fascinating, elegant, very intelligent and brave woman, and I love learning about this period, so foundational for England and Europe. Thank you for your work on this topic, it must be very difficult as most accounts of Anne are probably distorted one way or another. Thank you for your kind words, “Matterhorn”! I’ve been fascinated with Anne for years…nice piece of work this. I love your site! I have become completely obsessed with Anne and the rest of the Tudors after reading “The Other Boleyn Girl.” I moved onto watching “The Tudors”, which I absolutely love also and think that Natalie Dormer plays the character of Anne remarkably! I was just very upset they didn’t elaborate more on Mary Boleyn and her story, but I guess there was not enough time for that. I enjoy reading the forums on this site and also finding books that I can read for a more historically accurate depiction of Anne and the Tudors! I can’t tell you enough how much I LOVE this site. I have had a crazy love for Anne Boleyn since I was 11 and more recently a deep interest in her sister Mary. If you are just told their story and left out the names, it’s the most dramatic,amazing,tragic and engrossing story! Can it even be true!? The fact that it is indeed, then holds quite some power! This site is very educational and yet so FRIENDLY! Which I can not say for many other forums that seem to be filled to the choke point with academic snobbery. For as much as those people think themselves better, it’s really quite sad. SO I’m quite thankful to find this place and I’m certain I’m not alone in that thought! I truly think if you make education meaningful,interesting and even fun it really can inspire both children and adults to change their lives in many ways. Thank you so much for taking the time to comment and I’m so pleased that you love the site. I hate academic snobbery too and people definitely don’t learn anything when they are made to feel uncomfortable or feel that they cannot contribute. Everyone is welcome here and we can all learn from each other – nobody knows everything! I was simply stating the truth. And of course the critics are always first to spurt some nonsense about “dramatic license”, in my eyes that is what makes it great. After they finished reading the book many of the kids wanted to learn more about Jane Grey and The Tudors. I just think things like this are great, it opens new doors for many of us and brings history alive and keeps it alive(where in my eyes it should be!). I just stumbled across this website by accident, and I am so glad I did – it looks amazing! I am obsessed with all things Tudor – particularly Anne Boleyn – and I can’t wait to explore your site; it looks terrific. Thank you! The name Anne Boleyn is written in a font called “Scriptina” and the other words are written in in “Segoe Script”. Hope that helps! I have been a big fan of the Tudor period for many years. I read all the books about the period I can get my hands on- biographies and novels. I saw the article about your web site in USA Today, and immediately went on it! What a wonderful web site it is! I find myself going on it almost every day. Keep up the good work! The research and time you have put into it is very much appreciated. P.S. I have just finished re-reading “Queen of This Realm” by Jean Plaidy. One of my favorite Tudor books-I highly recommend to other readers interested in the Tudors. I just discovered this site a couple of weeks ago, and I think it is terrific! I ‘m really impressed with how you have incorporated so may different aspects of Anne Boleyn’s life here…this site really has everything. I’m a huge fan of Henry VIII and Anne Boleyn, and I’m also happy to see that you have fantastic articles about people whose names don’t automatically come to mind. Thank you so much! Like many others, have just discovered this site. Fantastic and informative for Tudor junkies like myself. I hope to visit it often. I’m reading Alison Weir’s new book The Lady in The Tower at the moment. One of the best books I’ve read in a long time. I was interested to read your review on G W Bernard’s controversial new book about Anne. Very balanced review – thank you. I kind of thought I was the only one who was so passionate about her. I get a lot of weird looks, especially when I talk about The Other Boleyn Girl and how inaccurate it is. I’ve always found Anne to be a great woman who has earned respect from history, respect which is not always given. People can call her the other woman, but you have to admit that she was way ahead of her time. She was intelligent and honorable, and it’s unfortunate that people don’t always see that. Not only that, but she was the mother of one of England’s greatest monarchs. Elizabeth I mirrored much of Anne when it came to her intelligence and interest in the arts. One day I’d like to go to England and visit Hever Castle and Hampton Court and see Anne Boleyn’s grave in St. Peter Ad Vincula’s chapel. I don’t know how close I would get to her tomb, but it would still be cool just to be near it. I went with Claire this past May on the Anne Boleyn Experience. Please try to go if you can. It was lovely. Hever Castle is so beautiful. When I went up the staircase to Anne’s bedroom, I touched the walls (knowing she must have touched them a thousand times). And at St. Peter Ad Vincula’s chapel I did the same thing, touched her sad gravesite tile on the floor. Chills ran down my spine. Claire is a wonderful person and lovely guide. We had 5 days of nothing but Anne Boleyn and Henry VIII ! The first night we ate in Anne’s actual dining room of the castle. It was surreal. Henry VIII’s huge gold lock was there on one of the doors. Imagine how many times he touched that! And a tapestry of his was mounted right over the huge fireplace. So impressive. If I didn’t have my photos of the trip, I wouldn’t believe that I actually went. It was a dream come true. I can’t say enough about the tour. It is the best thing I ever did for myself! You are an inspiration to us all. I have loved looking through your site and impressed by your dedication and hard work. You have really brought the Tudor world to life for me. Thank you and keep up the good work! Just found this website while looking for a few quotes of Anne’s. I first fell in love with Tudor history after reading Anne Somerset’s Elizabeth I. I have reread it so many times I have to purchase a new copy as all the pages are starting to fall out. While I first fell in love with Elizabeth, I now devour any book or article I can find on the Tudor’s and when I can’t find one I just reread my old books, which is why I am so glad I found this forum so I can give my books a break. I have finally found a group of people who are clearly as passionate and dedicated about Tudor history as I am and I look forward to commenting on some of the things you have written. Thank you for all the kind comments, it’s so heartwarming to know that people enjoy using this site. Welcome to the Anne Boleyn Files, Justin, I’m glad that you found us. My copy of the Anne Somerset book fits that description too! This is a wonderful website with really interesting articles. I came across the site recently, having just discovered that my family on my mum’s side is related to Anne Boleyn and her family (going a long way back). I thought this was incredible since I have always took a keen interest in Anne Boleyn since I was a child, and I remember one of my junior school teachers commenting that I reminded her of the Holbein portrait of Anne……. and all this was years before I found out that I was related to her! I absolutely had to post on this site. This has got to be the most wonderful, informative and creative site I’ve checked out in a long long time. Claire, thank you so very much for being so interested in history to give us this. Anne B. was a woman before her time hence why I think a lot of us can and do relate to her so much. I just wanted to thank you for giving us a place to go and read, enjoy, think and maybe do some shopping! Thank you Claire. I really love your site! I read it often! 🙂 Keep up the great work! We know that after her coronation, Elizabeth I never again set foot in the Tower of London; but is there any evidence that during her imprisonment or during her stay prior to her coronation that she visited her mother’s final resting place? I can’t imagine that she would not, if she could possibly do so in secret, however; I have no doubt she would not want it widely known she honored her mother by visiting her grave. Hi Claire, you probably get this a lot but the Anne Boleyn files is truly the best historical site i’ve ever seen (and I have seen a lot of them). Your articles are funny, clever and contains relevant facts. I am so glad I found your website !I have just recently gotten intriqued by the Tudors after watching Elizabeth R and now I am watching The Tudors. As I watch these fun movies I hop on my internet and start to dig to find validity in anything! This past Friday I watched with anticipation and excitement as the Prince William married the lovely Kate Middleton. I don’t even live in England! I am an American, but I love history, especially since most of us originate from somewhere’s over seas! 🙂 Thank you for your blog! I look forward to visiting often! CLAIRES, I was so happy to find Anne Boylen Files,I came upone this as I was searching for a new gown.I signed up and can’t wait to get my e-mails, as not many people no that much about her unless you study English Histroy,I learn more new things evey time a mail comes in. All of your Items are so Lovely, I as you no go to Ren Fair every year in full costume. I will say if your going to start going to Ren Fair this is the site to go to. i f one desides to have a gown made I highly recomend they have one made by you I no I am.I have many gowns and yours are just LOVLEY! Also I trulely recomend the Penndent Rings ect. I have the Catherine Howard hand painted pendent and have just orderd the matching ring also have some of the Jane Seymours jewleryand I’m looking forward to another gown for next year. Sincerley Barones Von Reis. Claire, My Ring was stunning as well as the pendent of Cathrine Howard,sad she died so young .I can olny praise your work and it is truely Art,these are highly collectable and one should try to start there own you won,t regreat .Please thank all off your staff for the wonderful care that goes in to each and everything. I so look to see the Heart Of The Ocean in my collection. Kind Regards Baroness Von Reis. Amazing site! I am going back to school to study for my MA in History, with a focus on British Studies. The Tudor period is the most entrancing to me, and as I have been a quiet history addict for several years I have decided to ‘come out’ and return to school! I am so excited about all the great blogs out there, but so far this one is the most interesting, thank you so much! Hi Claire, I haven’t spoken to you in awhile! How is everything? How is your next project going? I ‘m actually working on a small project of my own as well regarding the tudors. I so wanted to tell you something about my trip a few months ago. I had purchased that T shirt, to support the restoration of Anne Boleyn painting. It says Team Boleyn estabished 1533. While we were traveling about, I happened to be walking about for a bit myself and this older gentleman approaches me. He is clearly in his 60’s…if not older. He asked me if I was American. My southern slang of such words like “Bag” tend to give it away! LOL! We say “bahag.” He reads my shirt and he says “Whatcha Boleyn for?” I was kind caught off guard, I said “pardon”? He actually makes a motion with his hands like he is bowling, with a ball. Again, he says “Watcha Boleyn for?” I nearly laughed myself silly. It took a few seconds for me to stifle my giggles and explain to him….”Im not bowling for anything.” Then explained the History behind the T-shirt. He knew all about Henry’s wives but never thought anyone one find any of them interesting. I did tell him he needed to read about each and everyone. Henry VIII was actually the dreary….his wives were what made it all interesting. Then he snorted. He actually snorted at me. “So YOU think” he said. I was like WOW! I just walked off. My husband laughed even harder than I did at the Bowling but to his defense he had been drinking a very good port! LOL! Just finished watching ‘The Tudors” and was impressed! Henry had a huge effect on all of us both historically and personally and paved the way for the expansion of the reformer ‘heresy’ though he wasn’t a reformer himself. So many were executed for their beliefs during that period for what seems to us to be minor doctrinal differences but there was much more at stake for the nobility if they chose to disobey the King’s religion. He was head of the Church, after all! Great site! Thanks so very much for your work and dedication!, Claire. You would make any King or Queen proud. I think I’m trapped on this website. It’s fascinating, and endlessly informative and interesting. How much time must you have devoted to this? Thank you for doing all this, and compiling all this information in such an accessible way. Personally, I’ve always loved Anne of Cleves, and struggled to find much information devoted to her. But I’ve learnt more about her here on this website than I have on any other. I didn’t even know she was blonde before! Hi claire i have only just found your site and i love it !There are so many questions in my head that i would like answers too .Sometimes i drive myself mad that we cannot answer them all There is one that plays on my mind i think we all know that with out the help of ann boylen ladies in waiting it would have been impossible for her to have committed adultry ! So why did none of anns ladies in waiting be executed with her !.When lady rochford was sent to her death with katherine.Why was this issue not raised when the court was full of spies !i cant understand why ann never spoke of this at her trial ? and if ann and henry were never married it was not valid how did ann commit adultery ? Having been a little obsessed with Anne and her story since I first knew of it, I was so pleased to find your website……how I didn’t come across it before I will never know!! I really enjoy reading your updates although I must say, it has made this year’s run up to the anniversary of her death all the more poignant! You’ve done a fantastic job, I even have a link to your website on the home screen of my phone so I can dip in when the children are entertaining themselves for a few minutes! Your book is on my ‘to buy’ list also! Thank you for your very kind comments. It means so much to me when I hear that people enjoy what I write and that they spend their free time dipping into the site and having a good browse. The forum is quite active if you’re interested in getting to know other Tudor fans and discussing things, they’re a friendly lot. I too love this site and am very glad I found it. I also am a Tudor fanatic and even had my wedding dress etc., as Tudor as I could!! Only thing I am a bit concerned about reading the posts that I think everyone, ‘specially those who are teaching others, should be careful about films like THE TUDORS which was not correct historically. The costumes etc. were absolutely wrong for the period and the head dresses were laughable, just made up to look pretty for the series. And although Philippa Gregory is a super writer and tells great stories – these are novels, and not always factual. Enjoy them by all means but if you really want to learn – go to the historians -Eric Ives, Chris Ridgeway, Starkey etc. Especially with Anne Boleyn – facts should outweigh romantic concepts. We recently inherited a piece of art from our in-laws. The piece is titled The Coronation of Anne Boleyn by H. Fleesom ,1903. We have searched the Internet for information on this 4×6′ beautiful artwork, but have had no luck. If anyone has any information on this piece or its value, I would be interested to know. I am just reading Wolf Hall by Hilary Mantel which is written from the perspective of Cromwell. Have you read it and if so what do you make of the portrayal of Anne? I have always liked Anne since being little and first learning of the Tudors- I am finding it difficult to read this version of her. As a confirmed Anglophile, this wonderful site that you have created and nurtured gives a world history teacher the extra nuggets of “Truth” that I crave and my students find interesting. I thank you again for your tenacious spirit and the love of truth. I grew up in the South Bronx, NYC. My safe haven was the library. I was and still am an avid reader. I discovered the Bronte sisters, Jane Eyre etc. I devoured anything English. Yes it was hard being a little Puerto Rican girl trying to explain Wuthering Heights to other girls who were more interested in getting pregnant at 15 or doing drugs. But I survived became an RN and continued to love British History and writings. Today at 64 I am fascinated by Anne Boleyn. I try and read anything I can on her. I would love to get videos done on her life but can’t seem to find much. I am just finishing Susan Bordo’s book The Creation of Anne Boleyn. This is how I learned of this blog. Really enjoying it and understanding her point of view. I even went to Netflix and saw again episodes 8,9 and10 of season two of The Tudors. Hard to watch Anne’s angst and horror of what was heading her way. I came across this site while I was looking for information on the Internet regarding what killed the true queen to Henry VIII, Catherine of Aragon. While I detest Anne Boleyn because of her conduct, disregard and disrespect toward the Queen, it is interesting to learn more about the Tudor period. This is a very informative site. The “About” page stated that you want to “debunk” common views about Anne Boleyn. I’m curious as to what tools you use to ferret out information that is not already in the public domain and known. Thank you for this site – love reading it. Delving deeper into interesting characters (good, bad and in-between) leads you to ever more interesting pieces of history. Do keep up the good work! Love your site. I was able to travel to London for 9 days this year. BEST time of my life! I have wanted to visit since I was a teenager and for my 50th birthday, I was given a trip by my husband. Words can not express how I felt while there. My favorite was Hampton Court! I would love to go back,so much to see and experience! Throughout history, there has been so much fighting for the throne of England. Why is there no competition currently? What changed in history to make this happen? Thank you so much for existence!!!! I have adored Queen Anne Boleyn for over 40 years now, and I feel in my heart that she was totally innocent of the charges she faced. I am so glad to see that there are others out in the world who also love/like/respect the Queen. I liked all of the other wives of Henry VIII, and felt that each once was “innocent” in their own way (yes, Katherine Howard, too) and believed that each one was truly a Queen, no matter what the King said. Katherine of Aragon I include, as well. However, I fully acknowledge that the King took over the ruling of the religious life of his kingdom. Therefore, he divorced Katherine of Aragon, which is so sad after so many years of life and love, sorrow and gladness, together. He did what he felt he had to do. He met Anne Boleyn and fell in love her with and realized she might be able to give him the son he so craved. So, I do respect and think well of all of his wives. But Anne is so tragic and she is the one I’ve been drawn to the most. He waited so long to marry her, and then had her killed within three years. It’s just amazing. I’m glad to see her image has been, for the most part, “rehabilitated”, and that the overwhelming majority of people believe her to be innocent. Shame on any author who would believe that such an intelligent woman as the Queen would even think of committing adultery! Thank you, again, for your site. Now I wish I could find web sites honoring three other women of history I adore: Lucretia Borgia (what an innocent victim of slander), Madame duBarry (a beautiful woman with a kind heart), and Empress Josephine (another kind woman). The license plate on my car, at one point, had JOSFEN on it in homage to the Empress Josephine. I also believe she was innocent, but unfortunately she played the dangerous game of politics with people more experienced than her, made enemies of them, and she lost. Hola! I’m Veronica and I’m from Argentina. I want to thank you for all the information about Anne Boleyn and Tudor time !!! Since I was young (11 years old) I love Anne Boleyn. I’m not very good writting in English but I understand it. I have a lot of friends who wants to read about her and the Tudors but they don’t speak English. So I wonder if you had written something in Spanish. Ask one history junkie to another, I loved your site. I am descended from the Boleyns and was excited upon finding your site. Beginning with Edward Aucher, Esq., then Sir Anthony Aucher, James Aucher, John Aucher, Alecia Boleyn, and Goeffrey Boleyn, I. and Alice Bracton. From that marriage came Sir Geoffrey Boleyn (m. Anne Hoo), then William Boelyn (m. Bargaret Butler, then Thomas Boleyn (m. Lady Howard), and finally Anne Boleyn. My wife Teresa and I plan a visit to Englan and Spain to visit all the castles and manors of my ggg…..grandparents. We would love t meet you. Do you think you might have time? U.S. land line (513) 831-1775 or cell (513) 235-1584 (Teresa) in the U.S. I have only recently found your wonderful site and being a Tudor-Lover can’t believe my good fortune. Your articles are so well written, very informative, interesting and great fun. Anne Boleyn, was in my opinion, a misunderstood yet fascinating female in the wrong place at the wrong time. I always believed that she and Henry VIII had a special romance, the kind of romance that takes your breath away and leaves you lingering until you see that special person again. Unfortunately, so many written accounts do Anne damage. That is why I so enjoy reading all your articles and I can’t wait to start on your books. Thanks for putting your heart into the Anne Boleyn Files! I saw Anne Boleyn’s grave inside the church at the Tower of London when I went to London the first time two years ago. Fresh flowers lay on top of the tile showing her grave. As I walked up to the alter to show my respect, I could feel her presence. Not only there but on the lawn where she was executed. We were stranded inside the tower where she was held (at least I believe she was somewhere there) due to a very heavy thundershower. Lightening bolts above and rain coming down so hard we all were confined inside. We and the few people inside were talking about feeling Anne’s presence and her disturbed everlasting peace due to being unfairly treated. I feel she was a victim of politics and the climate in and surrounding the court at that time. She is one of my most favorite historical figures and I am always looking for new and interesting information about her. This is a wonderful website, thank you for all your information and knowledge! A very interesting website thank you.